Originating from Fleetwood Lancashire. John pursued a career in Architecture working in Blackpool before moving to Anglesey where he found his inspiration of painting seascapes, in particular with its movement and change of light on the wave formations. 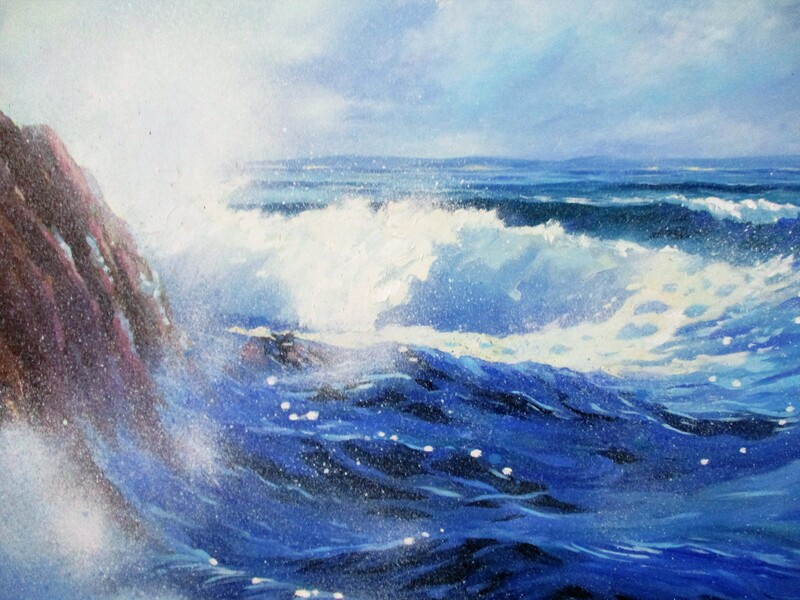 He found that painting in oils he could capture the force of the waves in a more realistic way. Successful exhibitions where held on Anglesey. On moving to Stamford Johns interest developed by using more dramatic colours shown in the vast expanse of sky at sunset. Regular visits to the rugged coast lines of Wales,Devon and Cornwall would find him sketching the perfect wave. Successful exhibitions have been held in London North and South Wales. As well as regular commission work undertaken. Whilst specialising in seascapes and landscapes, works also include a variety of subjects from his travels and experiences. All of his time is devoted to painting, having gained several awards and recognition through exhibitions and commissions.